Every child dreams of their own treehouse but it’s up to the parents to help them realize their wishes. 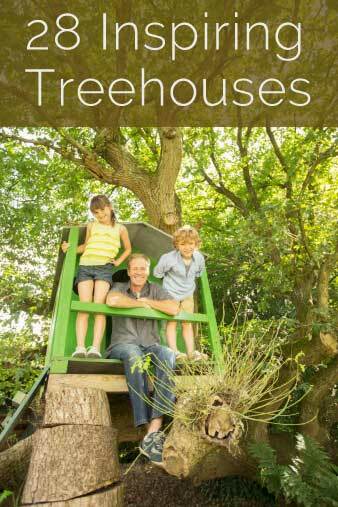 We’ve pulled together a gallery of 28 inspiring treehouse designs that will not only excite your kids but make you consider spending time off of the ground. When selecting these designs we considered overall aesthetics, ease of use, type of tree and the fun factor. Some of these treehouses are clearly not built by weekend warriors but that doesn’t mean the designs can’t inspire you and your big plans. As always when tackling a project like this use extreme caution and we recommend having an architect/builder look over and check off your plans for structural integrity and safety. You should also get a second opinion when determining the condition of your tree. 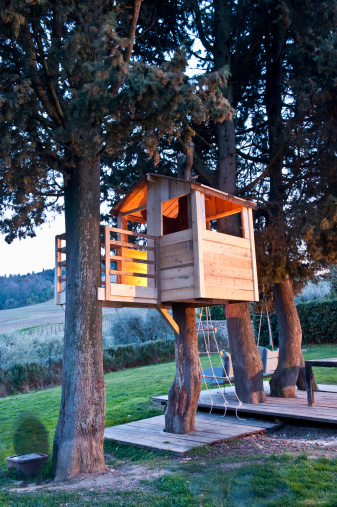 Enjoy these photos and here’s 50 more treehouse designs that we know you’ll love.